Treat yourself to a refreshingly fizzy rhubarb-bellini with rhubarb-simple-syrup. Have you only heard about peachy bellinis? A bellini with rhubarb is just as nice as well. 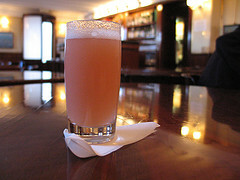 A bellini is compared to the french version of a champagne cocktail. In fact in true form, it consists of a peach puree coupled with champagne or a sparkling wine. Some people prefer the champagne, while others prefer the wine or specifically prosecco, which is an Italian sparkling wine. 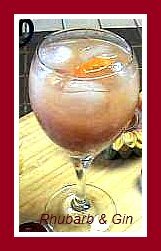 The bellini originated in the 1940's in a bar in Venice, Italy. The bartender loved peaches and wanted to come up with the perfect cocktail using peaches as a base. When he combined the pureed fruit and the prosecco, the taste was wonderfully pleasant, fizzy and appealing. The drink is extremely popular. And now there is the rhubarb-bellini, made with the rhubarb puree or rhubarb syrup of course. These drinks are made by making a small rhubarb compote and straining it for the juice, which is a rhubarb-simple-syrup. The compote can be as simple as you like, or with a bit of a bite to it with the addition of spices for a wonderful rhubarb-cocktail. The syrup is poured into tall glasses or typically champagne flutes and topped up with the champagne or sparkling wine of your choice. The cocktail recipe itself is a traditional one part syrup to four parts alcohol. As the drink begins to fizz, let it settle down and then add more champagne or wine. And you are free to decorate or garnish the drinks as you like too. All ingredients should be well chilled as well. Take a look at this selection of rhubarb-bellini cocktail recipes. Juice in a juicer and set aside. Simmer until sugar has dissolved and allow to cool. Combine with the rhubarb juice and put into a saucpan. Bring to a boil, and simmer for at least 8 minutes. Let cool and refrigerate. This can be used as your rhubarb base if you prefer it to other recipes. A basic water and sugar syrup is fairly easy to make, and is called for in many drink recipes and refrigerated for later use. 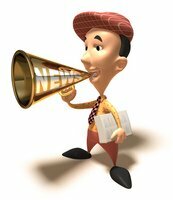 Have a look at the video and see just how simple it is. Bake the above ingredients in a baking dish on low heat until rhubarb is tender. Let cool and puree. Fill a tall glass or champagne flute 1/4 full of puree. Top up with chilled italian sparkling wine. Garnish with pear or orange slices. You can use the simple rhubarb syrup recipe as your base, or make it a little differently by combining orange juice and sugar with the rhubarb in a pan. A few tblsp. of orange juice is sugar is enough, or adjust to suit your taste. Bake at low heat until the rhubarb is tender, and puree. Strain for the juice, or just use the puree. Chill. When the rhubarb syrup from your puree mixture has been thoroughly chilled, pour into a champagne flute to 1/4 full. Top with chilled wine and let the foam settle. Continue to top up. Rhubarb stalks dipped in egg white and sugar make a lovely frosted looking swizzle stick. 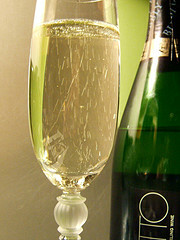 Prosecco is a term for a type of wine, and it is the name of the grape itself that produces it. These grapes are common to a region of Italy and produces the sparkling white italian wine. The wine has a little bit of a bitter aftertaste. Who would really notice with rhubarb? The bellini is one drink in particular that calls for prosecco wine, producing a fruity and refreshing cocktail. Using the simple rhubarb syrup recipe, simply pour the whole thing into a large pitcher. Add 1 bottle of prosecco. You may substitute champagne if you prefer. Chill thoroughly, and pour into individual tall glasses or champagne flutes.